Through the centuries, myths and superstitions based in and around the kitchen have developed and stayed with people even to this day. Ever heard someone say that it's bad luck to put your shoes on the table?It's most likely a belief borne out of hygiene. Putting shoes on the table could easily spread disease from the streets to your food.It could have caused death, bearing in mind low hygiene and medicine during those days.Cholera, typhus and blood infections may have been passed on.So,this superstition was an only way of warning people at that time. The kitchen is virtually the temple of a Tamil home and the highest levels of hygiene are expected to be maintained.Most Hindu[Saiva] Tamils do not enter a kitchen with their shoes on, as it is said to induce the wrath of the gods.Menstruating women are regarded unclean and are isolated. 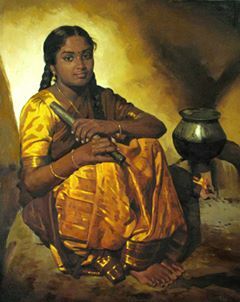 They cannot enter the kitchen till they are ‘clean’ again.This belief originated when kitchens were traditional, with mud stoves in a corner. Families sat on the floor and ate off plates or leaves placed on the ground. This required the kitchen to be absolutely clean. Another belief linked to this was that before eating their food, people sprinkled water around their plates supposedly in remembrance of their ancestors. Actually, the water around the plate acted as a barrier against the ants and insects that crept about the kitchen floor.A cat crossing one's path near one's home means that one should check one's kitchen,rather than return home & start journey again. 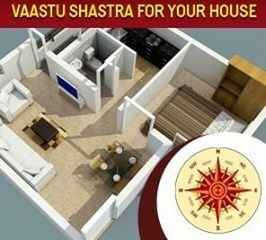 What is Vastu! When Vastushastra came into being there were no municipalities, town development authorities and building by-laws. Vastu says, logically enough, that the kitchen in a house should be in leeward direction for the simple reason that the wind would take away kitchen smoke instead of spreading it inside the house. There were no exhaust fans nor chimneys,as in today. According to Vastushastra, an establishment with an entrance from the south is inauspicious and doom is guaranteed. But half the shops on commercial streets have south entrances. Are they doomed en masse? The White House in Washington DC has a door facing south. It further defies Vastu in that it has a door in the middle of a wall. But it has had Presidents of the United States and is the dwelling of the head of the biggest super power in the world.Hence We should decide what part of Vastu should be used in the changed circumstances of today. Doors and windows in those days had to be in a straight line for cross ventilation and the straight pattern was to help the women of those days who used to stay shyly in the interiors and needed the facility to talk from far with in the house. One treatise says that the west should have shady trees. It was a common sense instruction to cut the sun in that particular region. 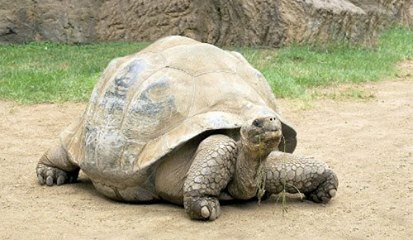 "AAMAI puguntha veedu urupudathu":i.e when Tortoise enters a house it is bad omen and the house will shatter to pieces. இல்லாமை---Illaamai---deficiency of necessary or desirable ingredients, qualities, etc. If in a house,the house members have the above principles , characters or Gunaas etc they will perish.That is what our ancestors told us. But see how the whole thing has twisted!